Observation decks are reminiscent of the glory days of flying. There was a time when people would go out to airports for the sake of watching planes from these excellent vantage points. A few airports in the world still have them. They’re definitely a thing of a bygone era. When we heard Delta was opening “observation decks” at two locations (JFK and ATL) we were over-the-moon with excitement. 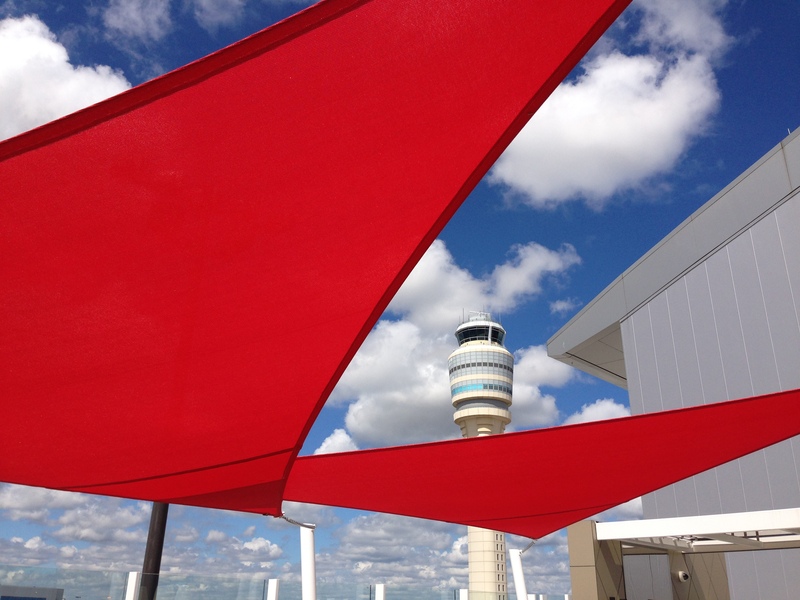 On June 10, 2013 Delta opened an all-new 1,710 sq ft Sky Deck at Atlanta’s Hartsfield Jackson International Airport. The Sky Deck is an extension of the Sky Club, Delta’s lounge for frequent fliers and is located on F Concourse at the Maynard JacksonTerminal. We were given the opportunity to visit the Delta Sky Deck and here is our account. 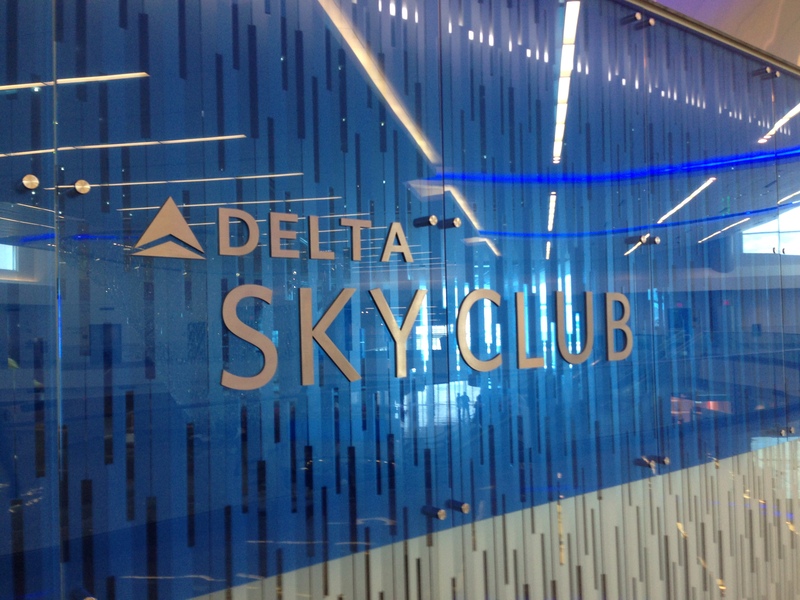 When entering the Delta Sky Club on F Concourse our first impression was modern and clean. Once inside the Club we were greeted by an immense, 2-story glass wall which gave us a bird’s eye view of the taxiways, runways, and the airport control tower. Talk about avgeek heaven! The Club is standard in its look and feel across the Delta domestic system. There is ample seating arranged individually and group seating configurations, business center, work stations, quiet area, high top tables, bar area, espresso/coffee machine, and a variety of snacks (from sweet to savory, from healthy to indulgent). Other amenities included power ports to charge your electronic devices and free wifi. We did notice that the wifi was very slow. We surmised it may have been slow due to the number of passengers in the lounge at this time. What makes this Sky Club unique, like its counterpart at JFK, is the Sky Deck; a partially enclosed outside seating and gathering place for Sky Club members. Cozy sofas, chairs, ornamental shrubs, and high top tables adorn this oasis. The blue sky was dissected by large red decorative tarpaulins. Members have an unfettered view of all the airport activity going on below. During our visit there was a Delta 747 destined for Tokyo, a 737 parked just below, and we even saw the Delta 767-400 BCRF plane (pink plane) taxiing by. Being on the Sky Deck harkened back to an era that no longer exists at many of the world’s airports. 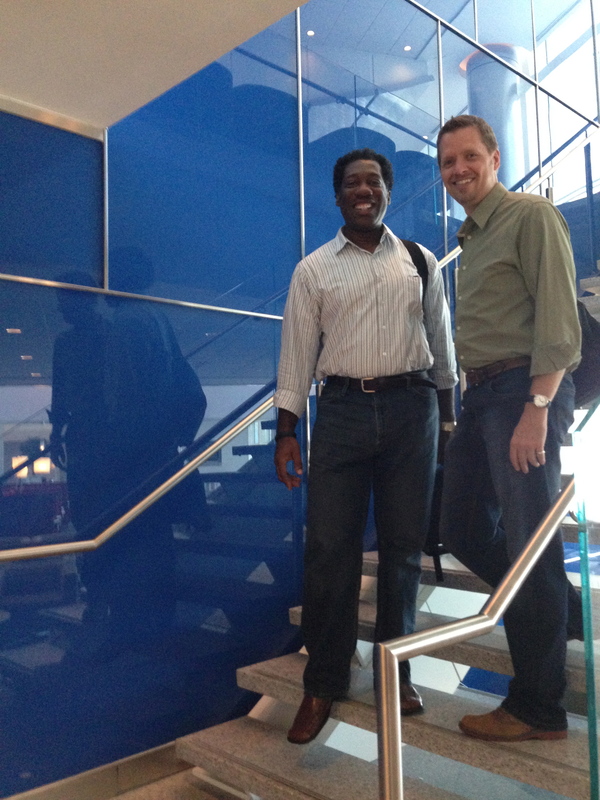 We both agreed that more Delta Sky Clubs should have Sky Decks. Who are those two super cool dudes? 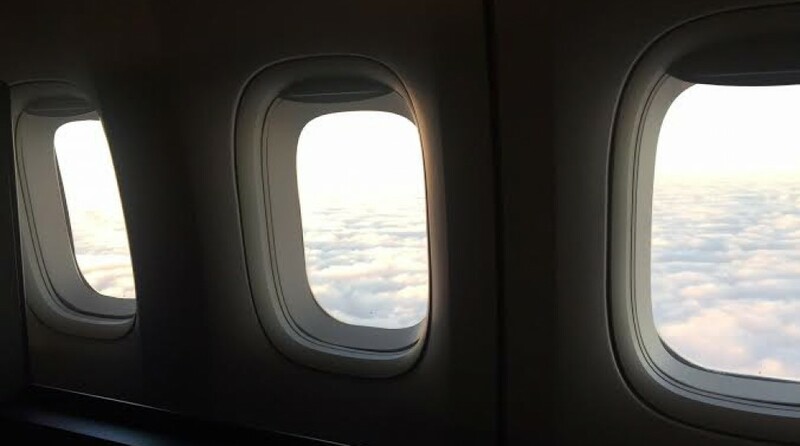 For those who are not a member of the Sky Club, and want to have this unique experience, there are various ways to gain access. These include, but aren’t limited to: paid membership, using miles for membership, purchasing a 30-day or 1-day pass, and various options through the SkyMiles American Express Card. Please click to see what options are best for you, locations, and amenities offered at Delta Sky Clubs. We enjoyed our time at the Sky Deck at the Sky Club on F Concourse at ATL. When your future plans take you via Atlanta and you have time, you should definitely check it out.